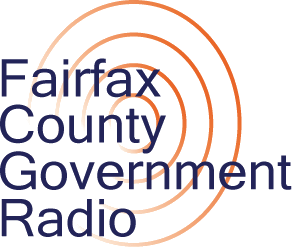 he National Weather Service has issued a Hazardous Weather Outlook and a Special Weather Statement for Fairfax County and surrounding areas, beginning Tuesday, Jan. 29. Forecasters predict near normal temepratures today with increasing sunshine, however, big changes are on the way as a strong front crosses the area tomorrow as rain changes to snow. Much colder temperatures, strong winds and wind chills in the single digits to below zero await us for Wednesday and Thursday. Rain is expected to change to snow Tuesday afternoon and evening. This may cause travel disruptions during the evening commute. A Wind Advisory may be needed for parts of the area Wednesday. Below zero wind chills are possible Wednesday night through Thursday. Rain will develop and change to snow late Tuesday afternoon and early evening. The snow may be briefly heavy before ending later Tuesday evening. While accumulations are forecast to be between 1 to 3 inches, the abrupt transition to snow will result in rapidly deteriorating driving conditions. Then as temperatures drop below freezing Tuesday evening, any residual moisture and slush on roadways and sidewalks will be prone to freezing, resulting in slick conditions. The greatest threat for impact from this snowfall during the Tuesday evening rush hour will be from the Blue Ridge and Catoctin Mountains eastward to the Chesapeake Bay, including the greater Baltimore and Washington Metropolitan Areas. If you plan on commuting Tuesday evening, be aware of the potential for travel disruptions. Plan ahead by allowing for extra travel time, and consider using public transportation andtelework options. Stay tuned for future updates on this winter weather event, and the potential for Winter Weather Advisories to be issued later today. And be sure to sign up for severe weather alerts from Fairfax Alerts. 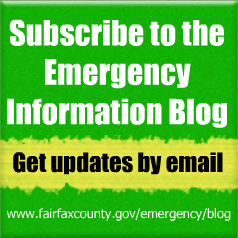 Sign up for severe weather alerts from Fairfax Alerts.